Only 10 apartments sold with​ heavy​ discount at Crystal Blanc in Vaujany​ (​Alpe d’Huez soon to link to Les Deux Alpes to create one of the biggest ski areas in the world​)​. Prices from 100,014€ only. ​Residence Le Crystal Blanc is situated only 500m from the ski lifts (easily accessed by escalators) and near the shops. -Red formula: 3.93% tax-free + 2 weeks/year (1 week anytime (inc. very high season like New Year or Feb half term + 1 week high or medium season (rest of the year)). These apartments at Le Crystal Blanc in Vaujany are ideal for investors who wish to purchase a brand new property in a top high altitude ​ski domain at a discount with also the possibility to stay in apartment for several weeks a year combined with tax-free guaranteed rental income. “These apartments at Le Crystal Blanc in Vaujany have been sourced by major French property investment firm and launched with heavily reduced prices on the market. 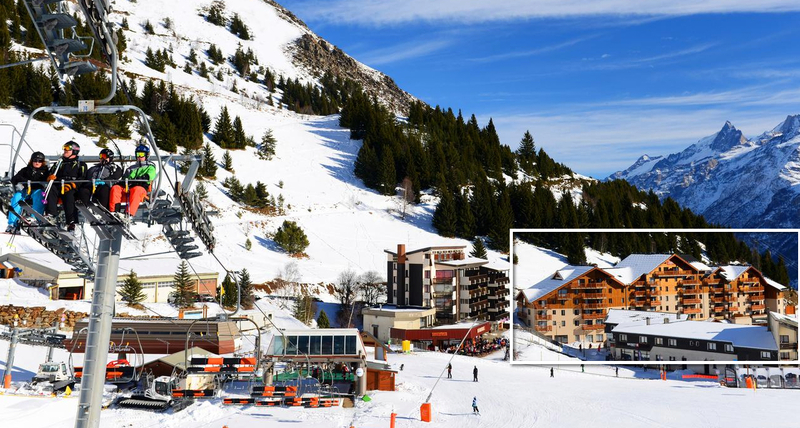 With Grand Domaine ski area soon to link with Les 2 Alpes, it is a great investment opportunity to buy a furnished apartment in a top ski area 35% below market value. You can order fresh baguettes and croissants from reception to be delivered the next morning. That’s cool! It is also within walking distance to gondola via escalators. Close to supermarket, bars and restaurants and walking distance to gondola via escalators. Vaujany is a traditional mountain village with its wood and stone chalets its small streets, fountains, farms and church. Located in isere and facing the majestic Grandes Rousses mountain range, Vaujany has kept its identity and mountain traditions yet the different infrastructures linked to the winter and summer activities are very modern. You will enjoy the almost endless amount of activities wether in winter or summer all set in this grandiose scenery. It also offers 250kms of Alpine skiing (high altitude up to 3,300m) as well as many tracks for hiking, cross country skiing as well as snowshoeing and more. Summer activities are many not to mention the famous Tour de France in Alp d’Huez. The Vaujany Ski area is an integral part of a massive domain covering 8 villages: Alpe d’Huez , Auris, Clavans, Le Freney d’Oisans, La Garde, Oz en Oisans, Villard Reculas and Vaujany.